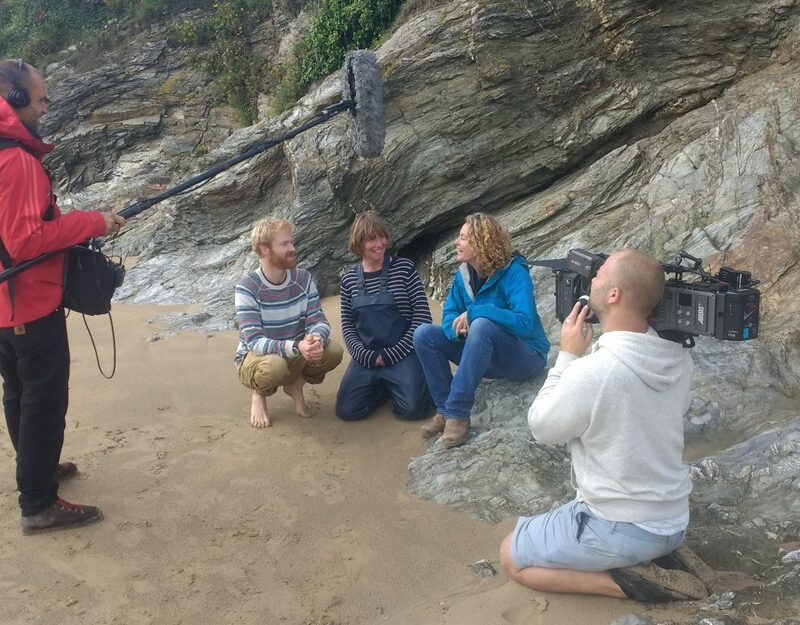 We can’t quite believe it, but last night was our 4th TV appearance this year! So awesome that people are discovering just how good our Cornish greens are, Jamie Oliver was right, it’s time for a seaweed revolution! 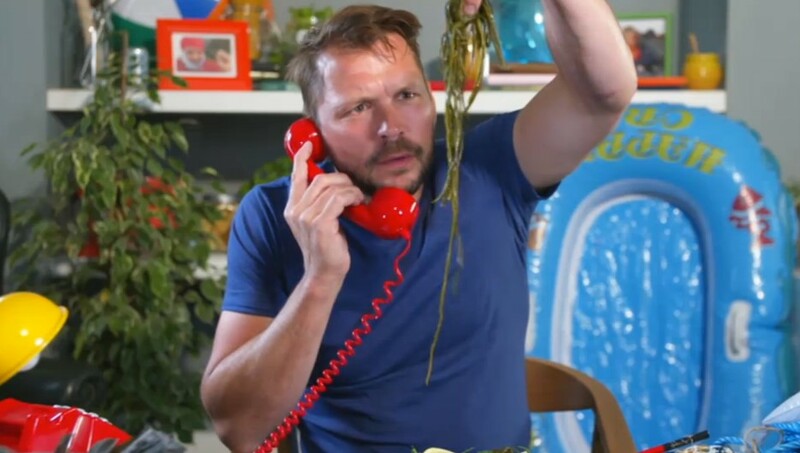 This time it was the turn of Jimmy Doherty to get stuck in to a Cornish Seaweed Co. hand-harvesting experience. 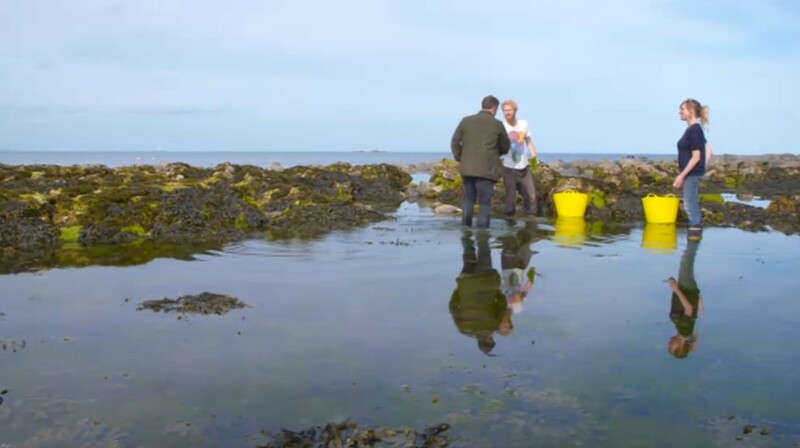 We started off on foot, foraging by hand for seaweeds like Nori that we dry and pop into our seaweed salt – if you’re new to seaweed, you’ve got to try this stuff, sprinkle it on your eggs in the morning for a peppy boost. Next, Jimmy donned his wetsuit and we took him out on the boat for his first free-diving experience. 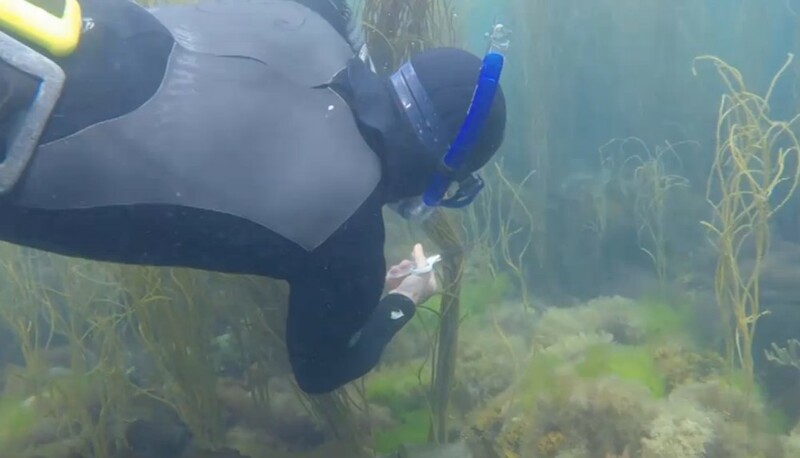 Armed with our trusty scissors, we showed him how we cut the sea spag and dulse half way down to promote regrowth and keep our beautiful greens sustainable. 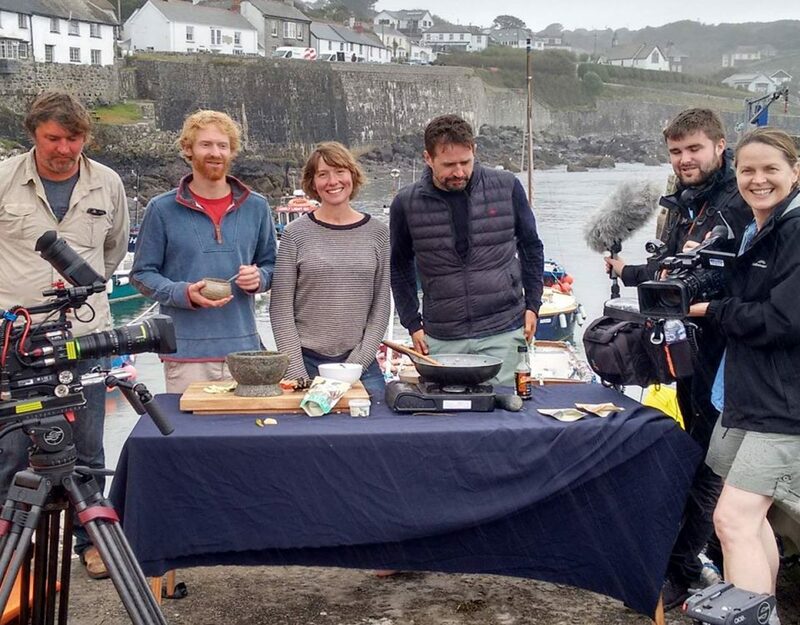 Once we’d given him some inspo on how to cook with our lovely Cornish greens, Jimmy set off to try it out on a set of students. Together they cooked Sea Spag Bolognaise and a Dulse Lasagne. The results? Our greens were called “soooo good”, “very tasty”, “thumbs up”. We’re pretty happy with that! 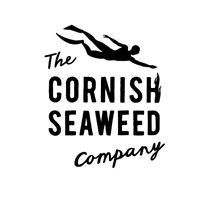 Escape to the…Cornish Seaweed Co.! 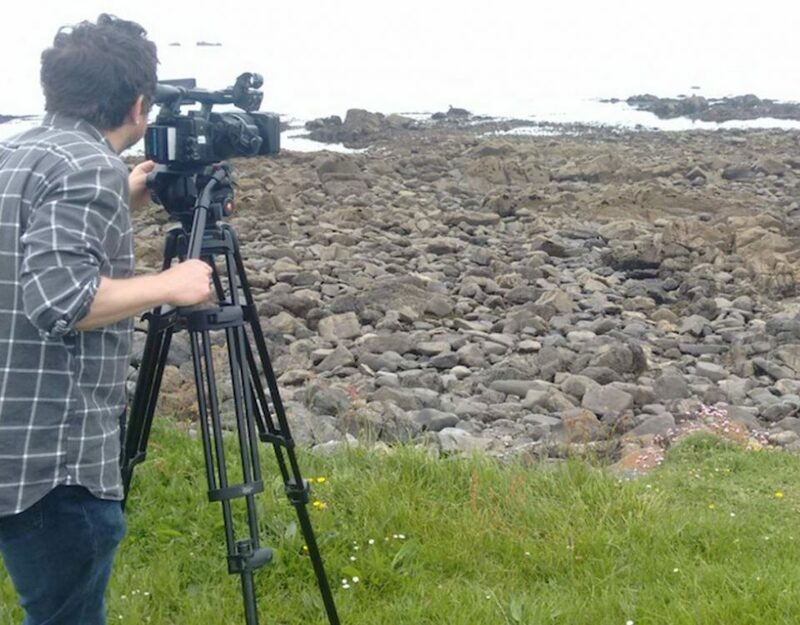 Back to the Land Features Cornish Seaweed Co.! 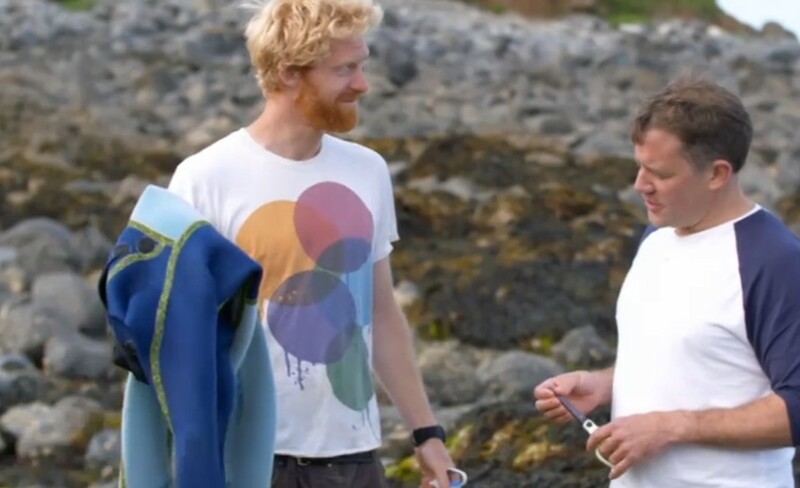 Seaweed, Saturday Morning Kitchen & Packaging Shake Up!